Pharmacolog has during this week installed a new, integrated version, of DrugLog® at the Hospital de la Santa Creu in Sant Pau in Barcelona. DrugLog® will validate preparations of chemotherapy at the hospital pharmacy and is fully integrated with the pharmacy’s and the hospital’s other software systems. The installation is a result of the collaboration between B. Braun and the purpose is to evaluate DrugLog® clinically during 2019. During 2018, Pharmacolog have developed the DrugLog system in order to function in an integrated environment. To automatically retrieve information about drug identity and concentration from drug prescription systems greatly simplifies for the staff and the work process becomes smoother and faster. The integration has been developed through a collaboration between B. Braun S/A, IMF S/A and Pharmacolog. The IMF is the dominant supplier of software for managing cytostatic prescriptions in the Spanish market. B. Braun has supplied infusion pumps and tubing sets to St Pau and collaborates with the IMF in Spain and Latin America. The system will be evaluated clinically during 2019. 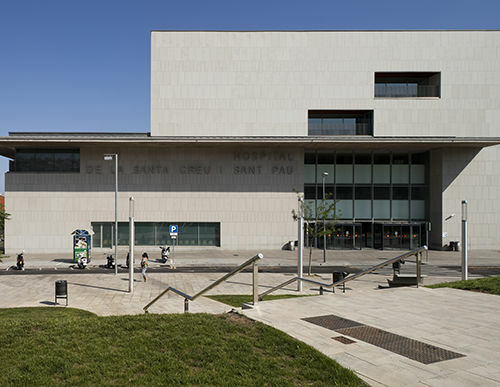 The Santa Creu Hospital in Sant Pau, Barcelona is one of Europe’s oldest hospitals and one of the leading research hospitals in Spain. The collaboration is with the hospital’s pharmacy, which is well advanced in research on drug handling.